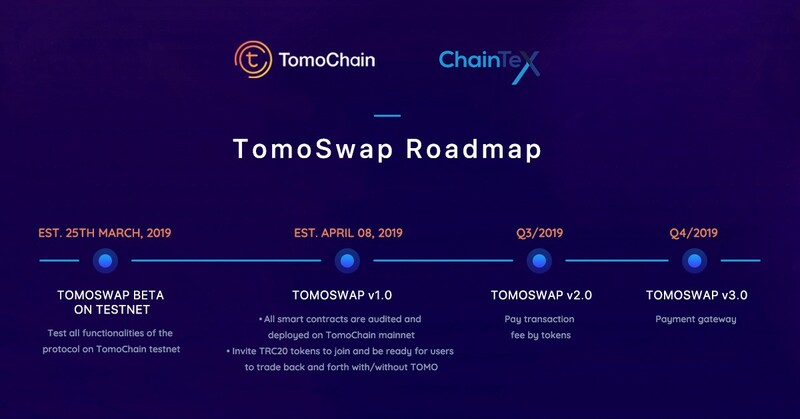 TomoChain is delighted to announce TomoSwap project — the first decentralized token swap platform that will focus on both user friendliness to end users and providing liquidity for future financial applications. TomoSwap is motivated by KyberNetwork protocol — a well-known on-chain liquidity protocol built on Ethereum which “allows instant exchange and conversion of digital assets and cryptocurrencies with high liquidity”. Suitable modifications are added to TomoSwap to be compatible with TomoChain platform as well as maximize its strengths. Utilizing the competence of TomoChain network, TomoSwap promises a fast & secure way to swap tokens with near zero transaction fees. Currently, Triip, MCash and TOMO are available on TomoSwap and we expect more tokens to join us in the near future. TomoSwap supports swapping between TOMO and a TRC20 token, or between pairs of TRC20 tokens. There is a cap for each transaction determined by the protocol and reserves. It is completely on-chain, TomoSwap does not hold any funds of users (or reserves), hence user’s tokens are secured from theft losses. Market View shows current buy/sell rates of tokens over TOMO or USD. 24h change and token live chart will be added in the next versions. Import wallet: Metamask and keystore are supported in the 1st stage. Private key, Trezor and Ledger will be added later. TomoSwap allows users to transfer their assets to other addresses using the Transfer feature by providing source token, amount and destination address. Multiple languages will be supported. English and Vietnamese will be supported first. 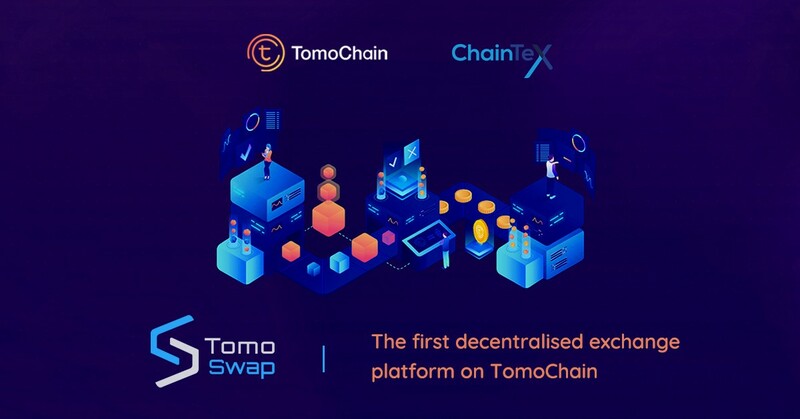 TomoChain welcomes you to issue your token on TomoChain and join TomoSwap to get benefits from a fully trust-less decentralized token swap system with nearly zero fee and near instant confirmation time. Made with ❤️ by ChainTEX and TomoChain! ChainTEX is building new financial protocols and applications for TomoChain ecosystems with the goal to provide and promote open and trustless financial system. TomoSwap is the first decentralized trading platform that focuses on both user friendliness to end users and providing liquidity for future financial applications. TomoSwap will play as the transactional layer to allow assets on TomoChain to be converted seamlessly between end users and other applications.